A trip to the Canary Islands had long been on our agenda. This year, the availability of cheap budget-airline flights with stopovers in Spain finally made this trip too good to resist. 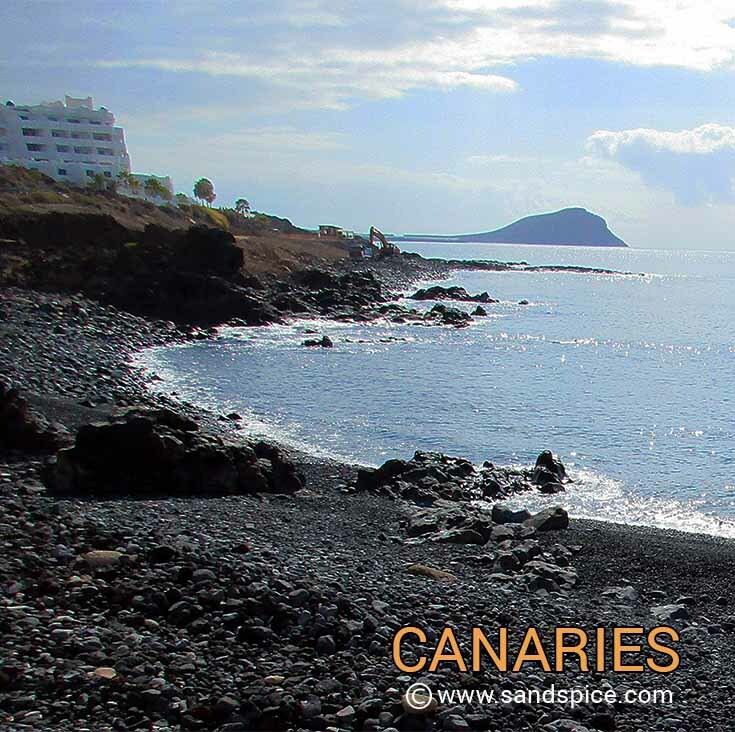 We carefully put together our 14-day Canary Islands itinerary. Instead of getting return flights direct to the Canary Islands, we would spice up the trip with stopovers in Spain on the way in and out. This would give us the opportunity to visit the Spanish cities of Girona and Madrid at the start and end of our trip. Our plan called for a train journey and ferry trip, as well as transfers between airports and hotels (see Our Budget below). It’s quite a lot of travelling for a 14-day trip, but well enriched with a wide variety of locations and potential activities. With our skeleton plan in hand and flight bookings confirmed, we knew where and when we were going. The next task was to choose some decent accommodation, some excellent restaurants (local food is always a highlight) and a few varied and engaging activities. Our trip would start with a flight to Girona (€27 per person). After searching online, we picked a reasonably-priced hotel in the centre of Girona for just the 1 night (Hotel Margarit – €51 – excluding breakfast). 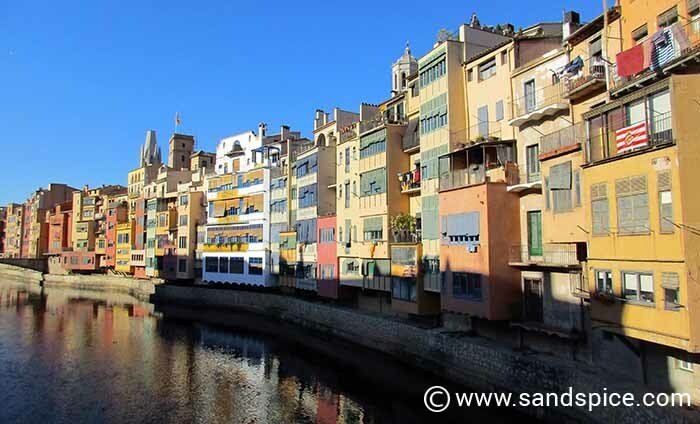 We would arrive around lunchtime, which would give us the afternoon, evening and most of the following day to discover Girona. This would be time enough to visit the Cathedral, the old town and city walls, and hopefully to check out the shops. We also earmarked 3 promising restaurants to choose from. On the afternoon of the following day, we would need to take a train from Girona to Barcelona, to catch our onward flight to Tenerife. We were able to book our tickets online at the Loco2 website. To get from Barcelona to the airport we would need to connect to another train. For help on this, we used the Spanish Renfe website to find out about Spanish train connections and timetables. Our evening flight from Barcelona would take us to Tenerife South. Tenerife is the biggest of the Canary Islands – big enough to merit 2 airports: One in the North and the other in the South. We planned to spend 3 nights in Golf del Sur in a self-catering apartment on the southern coast (Grand Muthu Golf Plaza – €102 for 3 nights based on 2 sharing, excluding breakfast). 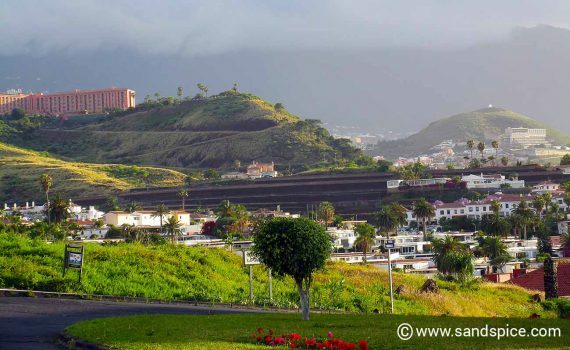 While staying in the South of Tenerife, we wanted to visit Siam Park (the No 1 Waterpark in the world) and take a look around Playa las Americas – the so-called party capital of Tenerife. 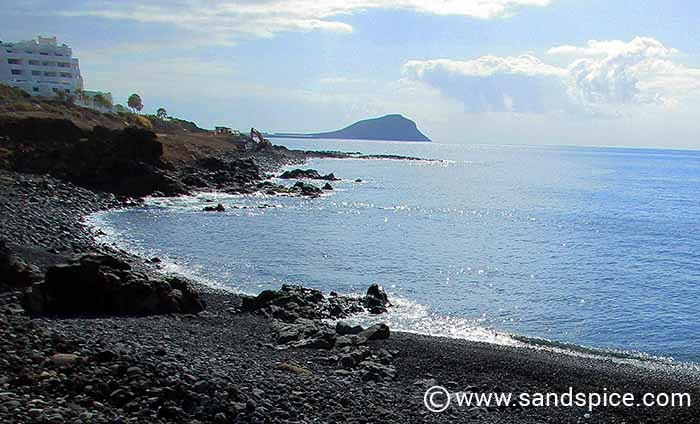 After 3 days in Golf del Sur, we would travel by bus (€14) to Puerto de la Cruz on the northern coast of Tenerife. In Puerto de la Cruz we booked hotels for 3 nights (€127 for 3 nights based on 2 sharing, including breakfast). Here, we planned to visit the famous Loro Park (the No 1 Animal Reserve in Europe), hike the Masca Trail and spend time in and around the Lago Martianez pools. Of course, we would also be seeking out some good places to eat. 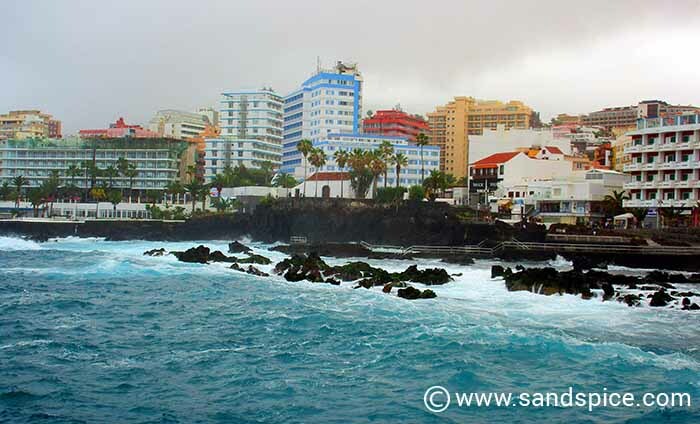 From Puerto de la Cruz, we would take a bus back up north to Santa Cruz. From there we would hop on a ferry for the trip over to Gran Canaria (€47 for a one-way ticket). Gran Canaria is the second largest of the Canary islands. 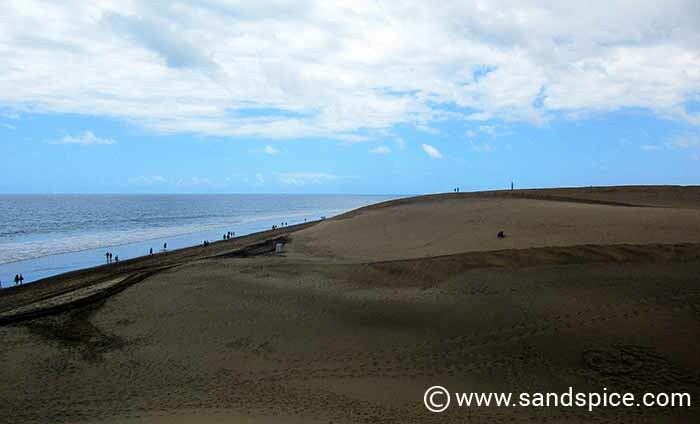 We would take a bus down to Maspalomas where we had booked another self-catering apartment for 3 nights (Tisalaya Park – €114). In Maspalomas we would relax and enjoy the cabaret nightlife, with maybe a motorbike daytrip over to Sioux City for some cheesy “True Grit” Western entertainment. Again, we would be on the hunt for good places to try the local Canarian cuisine. The final leg of our trip would be a flight from Gran Canaria to Madrid (€30 per person). 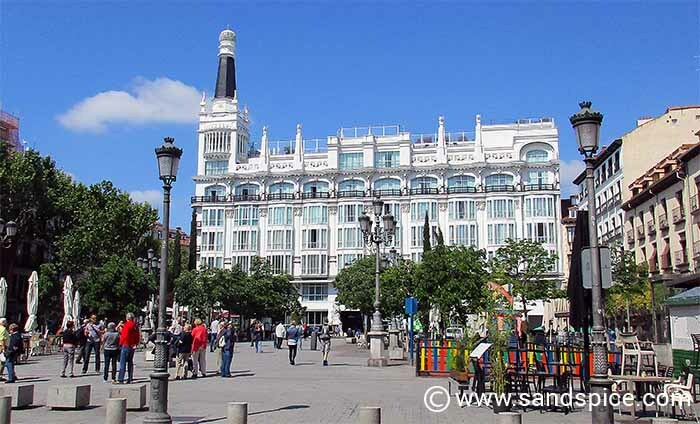 We booked 3 nights in the relatively expensive but centrally-located Espahotel Gran Via (€200). There’s a lot to do in Madrid, but we pencilled-in a shortlist of activities: Enjoy a Flamenco evening, visit the the Prado museum, take a gastronomic walk around the old quarters of the city, take cable-car ride over the city, see a bullfight, visit the Sunday bazaar. … Clearly, we wouldn’t be getting much sleep in Madrid. Flights: 4 in total, all with a budget airline. The total cost for flights was therefore €263. Hotels: All of our accommodation was booked in advance. The total amount for 14 nights came to €593. An average of €42 per night. This was for double rooms/apartments, and occasionally included breakfast for 2. This combines to a total budget of €1,956 for the 14-day trip. With insurance (€44), the grand estimated total is – surprisingly – exactly €2,000 or €1,000 per person. Considering the multiple destinations and versatility built into our trip, this is not a bad budget for what is essentially a 2-week European vacation for two people. How did we actually get on? Check out our related articles. What’s sure is that we enjoyed excellent quality food and restaurants, and engaged in some unforgettable experiences.